​​Career readiness and ​ability to get employment skills are becoming an integral part of ​any ​education​ system​. To truly achieve ​your learning goals that gives an employment​, we adopt​ed a ​practically possible ​framework that supports the holistic development of the ​young professionals and make the​m the world capital of skilled workforce​ with our training program. A global​ disruptive and innovation​ leader​ like Salesforce ​CRM training and certification in Hyderabad ​can help ​you enhance ​your skills and equip ​you to pursue ​your bright career in this era of ​cloud computing and data technology. ​​CRS Info Solutions can help you with Salesforce CRM training and Certification in Hyderabad, Telangana, India. Salesforce is one of the disruptive trends in 21st century innovations Customer Relationship Management (CRM) cloud technology. In IT sector it is generating millions of new jobs. It’s a buzz question that “What is Salesforce course fee in Hyderabad? And what is the cost for certification?”. You will find the answers to your questions related to Salesforce training and certification in Hyderabad. Salesforce training cost for online and classroom varies from one institute to another. We can’t say a fixed price for this course and how all institutes are charging fee but we get an overview how the charges are there and which is the best training institute with real time project’s included in the course program. 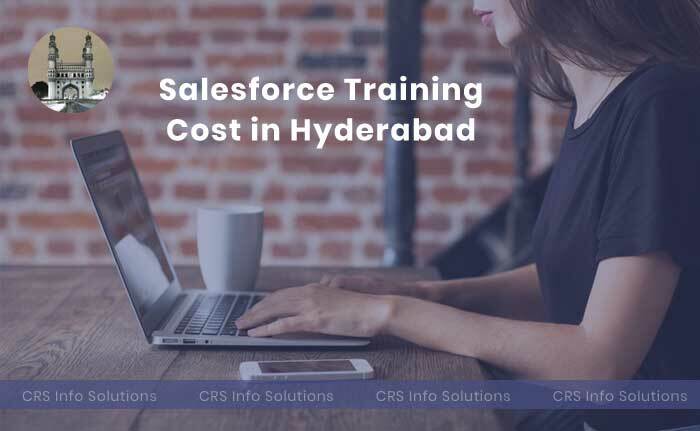 Top software training institutes in Hyderabad are charging ₹16,000 – ₹24,000/- ($350-$3855 US Dollars) for both Admin + Developer Salesforce training in Hyderabad, India. Salesforce Training under ₹10,000, admin alone will cost this much only. You can take development only cost ₹10,000, integration module cost ₹5,000 but it’s not mandatory for all. Most of the people will join in admin development course only. Some of the other prominent computer training institutes are charging ₹15,999 – ₹16,499/- ($315-$429 US Dollars) for Salesforce Online course where they include real-time projects, certification assistance, interview questions and other perks which are really helpful to participants. In general Salesforce Admin Training cost in Hyderabad is ₹15,899/- ₹17,499/- ($219-$299 US Dollars) and almost same price for Salesforce Developer Training which includes Visual Force, Apex, Sandbox, Migration etc., topics. Ameerpet Hyderabad, India is the best city for software courses in affordable price and job assistance for aspirants, so utilize this opportunity and improve your software skills. For online it will be bit expensive compared to classroom institutes which are economical. 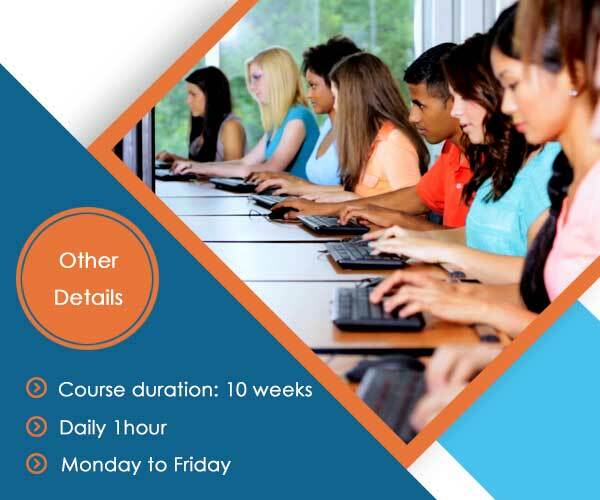 Because students will get exclusive features, dedicated training, backup library etc., in online training. Salesforce recently (June 2018) has acquired all rights officially from Datorama, an Israeli cloud-based artificial intelligence marketing platform. Datorama serving 3000+ worldwide customers including including PepsiCo, Ticketmaster, Trivago, Unilever, Pernod Ricard and Foursquare to improve their marketing statistics even better with their AI technology. It shows that Salesforce is taking strategic steps to become a world leader in CRM domain. Find the best Software Training and Computer Institutes for Salesforce CRM Training in Hyderabad and achieve your learning goals with expert instructors in Hyderabad, India. 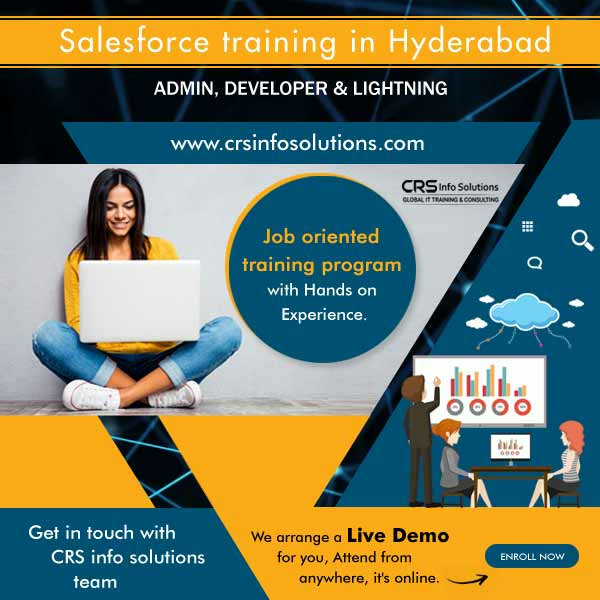 CRS Info Solutions is a pioneer in offering Salesforce Online training in Hyderabad with a 10+ years of experienced working professional as instructor. 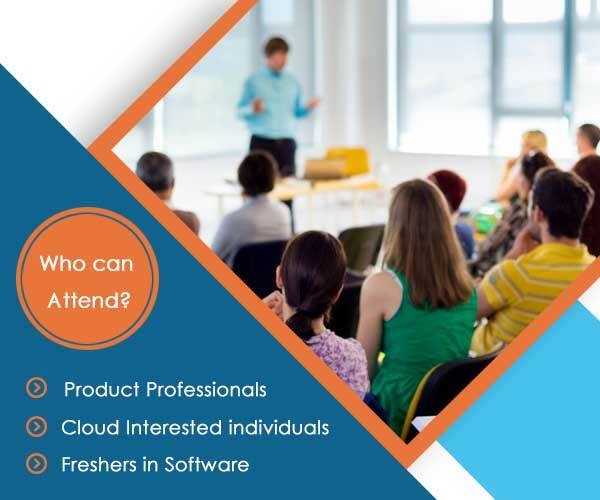 We included real time Salesforce projects, scenario based interview questions with answers, daily tasks and 100% Hands on learning that boosts your skills.Enroll today to get free access to our live demo session which is a great opportunity to interact with the trainer directly. Attend Free live demo on Salesforce crm Online Training and Certification program in Ameerpet, Hyderabad, Telangana, India which includes Admin(201) and Developer(401) Modules and Job Market Analysis by our trainer. Ask your questions in the interactive demo related to Salesforce CRM Training. Our trainer is a real-time working professional as a salesforce consultant. Trained more than 4160+ students on Salesforce. Teach Corporate and online Trainings. Helps in Job Support, Resume Preparation and supplies latest salesforce Interview Questions. Salesforce Online Training in Hyderabad with job assistance will make you an expert in all the concepts related to administration and declarative development options. It will also help you prepare for Salesforce Certification (both SFDC Admin 201 & App Builder Certification). Lateral developers who have worked in Java, mainframe and C# and are looking for a boost to their career from legacy platform at least 50-100% more pay. You can attend to our live Salesforce training institutes in Hyderabad, Telangana, India demo class by filling our contact inquiry form. 1. Do you help me with Salesforce certification in Hyderabad? Read salesforce admin certification topics and it gives an overview of salesforce certification exam pattern. 2. Is this salesforce training helps me with placement assistance and interview questions in Hyderabad? We give a real-time project oriented Salesforce CRM training with 100% practicals, from day 1 you will learn practically. You will gain practical knowledge that will help you to face any interviews confidently. So, are you willing to learn SFDC online training to face any tough interviews, then join our free demo once. 3. What are the salesforce class timings? Regular class timings will be announced at the time of online demo session. So don’t miss our demo session to know more details. 4. Who are the instructors for this Salesforce training? Our trainers have minimum 10+ years real-time experience and expertise in teaching Salesforce, they always put great efforts to convert complex topics into easily understandable modules. Experience the professional Salesforce training and certification program with hands on approach and elevate your skills in Salesforce Administration and Development modules. 5. What if I miss any class? If you miss any class, you will get that class video recording, so that you don’t lose any class in our Salesforce training. 6. Do you provide training for Salesforce Administration and Salesforce Development in this course? Yes, we are providing the fully practicals based Salesforce Admin and Development online training in Hyderabad this course. 7. What are the topics covered in Salesforce online training? 8. What can I learn through Salesforce training? You will learn Salesforce concepts from basics to advanced using which you can create your own applications in sfdc platform. Our practical training helps you to manage Salesforce consultant duties in a company in Hyderabad. 9. I do not have any programming knowledge. Can I go for Salesforce training? For sure anybody without any programming knowledge can learn Salesforce. Our course advantage is anybody can learn without having any coding experience, we’ll teach from basics, that’s our guarantee. Still you have any questions? Feel free to WhatsApp them on the number showing top of the website.